This 14k yellow gold wedding ring is the ideal mid-weight style with a traditional higher domed outside profile. Curved inner edges make this style extra comfortable for everyday wear. 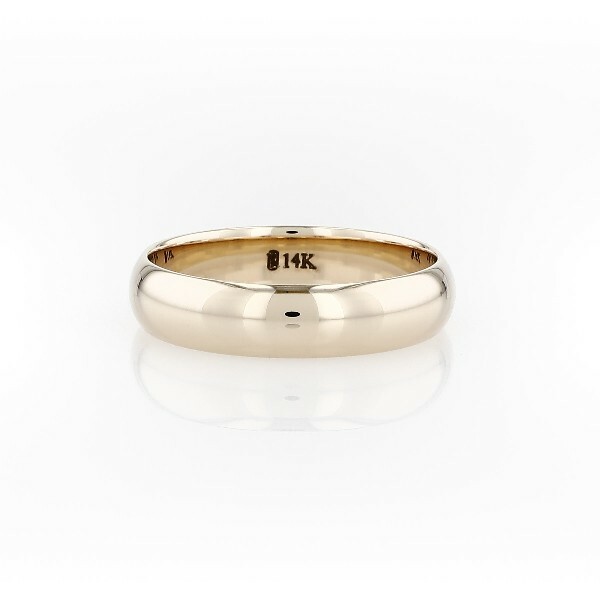 This comfort-fit yellow gold ring features a high polished finish.